We are still accepting MA applications. Welcome! The UB Department of Classics is the only classics department in the SUNY system, and has long been home to innovative research and teaching across the discipline. From archaeology and language to history and literature, come study the rich cultural heritage of classical civilizations in a friendly, supportive program offering many exciting opportunities for research and travel. Studying classics will prepare you to be an active, purposeful citizen of the world. Find out how! 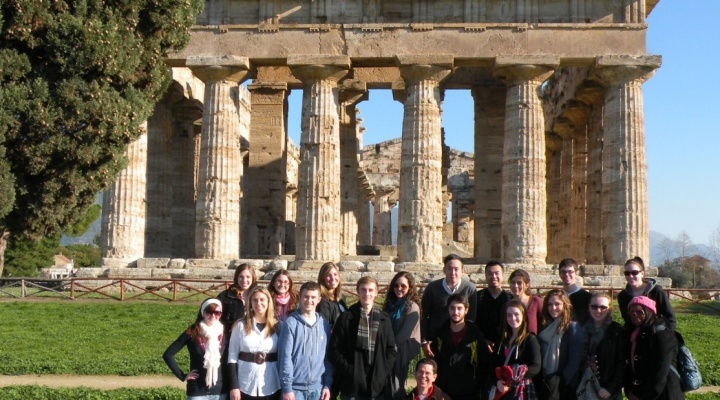 Our students regularly travel to Greece, Italy, Turkey and Israel to assist with faculty research projects.